A scholarship in Canada is a one-time financial aid (on average from 500 to 5000 cad, but sometimes it is a question of large sums), which is given to students for academic achievements, excellent knowledge of English. Also, previous work experience and volunteer activities can be taken into account. It is clear that getting a scholarship is not only honorable but also economically beneficial, since money can be spent, for example, to pay for tuition. Can I get a scholarship to Canada? Yes, it is quite possible. During their studies, Canadian colleges and universities offer several scholarships, which are a small financial aid for an international student. Most often, in colleges, it is a one-time award for academic excellence, sporting achievements or active extracurricular activities. Universities can receive a scholarship only for students of master’s or doctoral programs – at the undergraduate scholarship is extremely rare. Since there are many candidates for scholarships in Canada, therefore, the competition between the participants is high. It should be noted that academic excellence should be at an excellent level for a great chance of obtaining scholarships. Usually, awards are in the amount of from 1000-5000 CAD. With a tuition fee of 14,000 CAD per year, this is not much help. Full scholarships in colleges and undergraduate do not give. Grants can be obtained for the magistracy and Ph.D., there is a VERY impressive university with their achievements and abilities. Just being an excellent student for this is not enough. 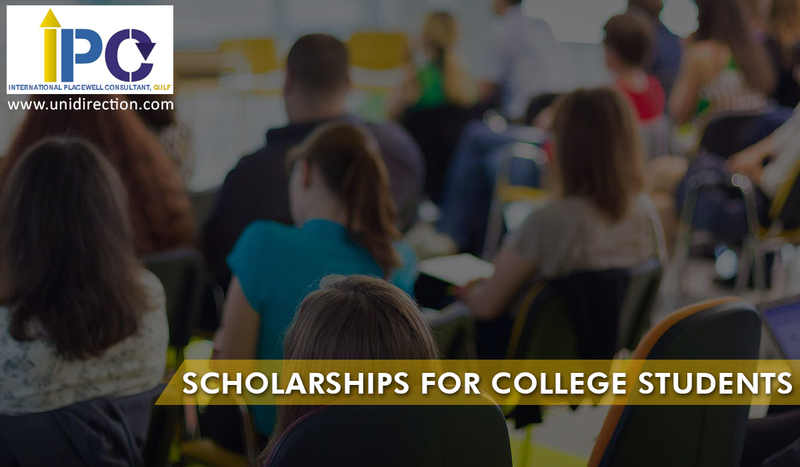 Although it is recommended to find a scholarships Canada even before you leave India, it is also possible to get a scholarship once there. Be aware, however, that these scholarships are highly contested and relatively rare. All scholarship applications must be submitted at the time of registration of the student at a Canadian university. This means that your application file must be completed at least 9 months before the start of the academic year. The first instinct to get a scholarship in Canada is to go to the university where you will be enrolling. Only few universities distribute scholarships to foreign students. And even if the university you are enrolled in belongs to this last category, only the best students can qualify for this financial aid. Of course, financial grants for foreign students in Canadian universities are not given for beautiful eyes. You need to prove that you are worthy of such an award. This can be done directly during training or, relatively speaking, in advance, upon admission. To do this, the student must fill out a registration form, add a motivation letter, his resume, certificates, confirming participation in various competitions, certificates of completion of courses in various fields of activity, scientific articles and the like. Then a special commission examines the candidates for the scholarship, identifies the really talented and promising individuals, who have a reason to provide financial assistance. Only a two-year full-time degree program student can apply for a scholarship. Students of certified one-year programs are not eligible for scholarships. Therefore, if you are counting on a scholarship, firstly, make sure that the university you are going to enroll in has scholarship programs for foreign students, and secondly, choose a program for two years of study.